Accumulation of extra fat in the body affects adults as well as children. It increases the risk of developing several medical conditions such as high blood pressure, diabetes, arthritis, sleep apnea, immobility, asthma, and heart problems. The main culprits behind excessive weight gain are the unhealthy lifestyle, physiological factors, metabolic rate, excessive food intake, eating disorders, several medications or drugs such as steroids and lack of physical activity as well as exercise. Though the task of weight loss is difficult and complicated, it can be achieved by following some of these weight loss tips and weight loss diet plans. Exercise and diet are an important and integral part of weight loss regimen. Do not skip breakfast. Healthy breakfast controls weight by curbing hunger pangs. Include healthy portions of carbohydrate, proteins, vitamins and fat. A healthy Indian breakfast is comprised of Poha, oats, soy milk, idli, brown bread or Tomato Upma with sugarless green tea. Begin your day with Honey-Lemon water. It assists weight loss by burning the excess fat. Lemon is an abundant source of vitamin C. Add ½ tbsp Lemon juice, 1/4th tbsp of Honey into a glass of lukewarm water. Add black pepper powder. Drink Lemon-Honey water every morning on an empty stomach. Replace black tea or coffee with green tea or herbal tea as it contains a high amount of antioxidants that boosts metabolism as well as aids in weight loss. Eat at least three portions of low-calorie fruits such as lemons, grapes, apple, pears, papaya, oranges, plums, strawberries, watermelon, Consuming fruits in an empty stomach is beneficial. Include low-calorie vegetables such as Cauliflower, Bottle Gourd, Pointed Gourd, Bitter Gourd, Cabbages, Ridge Gourd, Onions and Tomatoes in your diet. Use Indian spices such as Asafoetida, Cumin, Celery seeds, Cinnamon, Black Pepper while preparing food. It will not only enhance the taste but also promote healthy weight loss. Choose organic food, whole grain products, protein-rich food, low-fat dairy products, whole wheat cereals, flax seeds and oats. Consume in appropriate proportion. High fiber food keeps the stomach full which in turn helps in weight loss. Brown Rice, Green leafy vegetables, beans, peas, and lentils contain a high amount of fiber. There are different varieties of green leafy vegetables available in India. Spinach, Fenugreek leaves, Drumstick, Colocasia leaves, Mustard leaves are a healthy source of fiber, water, and folate. The green leafy vegetables improve the digestion and metabolic rate. Cabbage, and Lettuce are considered as best food for weight loss. Drink at least 6-8 glasses or approximately 1.5 L of fluid, preferably water. Eat slowly and chew the food properly. Try healthy cooking methods such as boiling, steaming, baking stir fry, roasting, and grilling. Avoid artificial sweeteners, preservatives, and colors. Cut down on biscuits, ice cream, butter, cheese, alcohol, and sugar as these products easily contribute to weight gain. Maintain a food diary to note down your daily food consumption details. Follow the suggestions given by nutritionist. Weight loss diet depends on the health and fitness status. Hence, it is advisable to consult a dietician. Eat small and regular meals to burn the calories at a higher rate. Skipping the meals or breakfast will not help in weight loss. Eating a balanced and nutritious diet is a vital component of a healthy lifestyle. Not only does it help maintain an ideal weight, but it also provides your body with significant resistance against ailments. An ideal Indian diet plan for weight loss should include six meals a day. 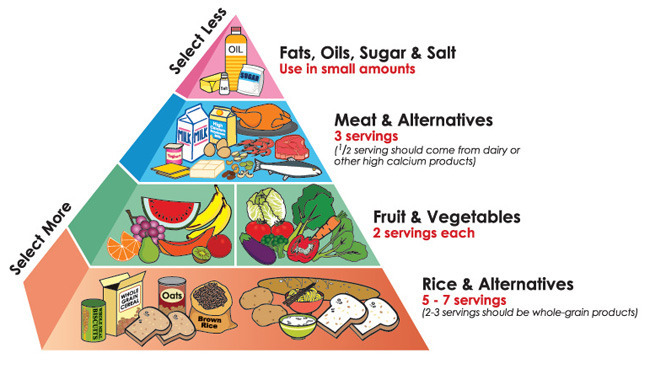 Here is an outline of Indian diet chart for weight loss. Healthy weight loss depends on a planned calorie intake that will boost metabolism and induce fat burning. Metabolic rate plays a vital role in weight loss. Start your day with Detox drink. Consume a glass of lukewarm water with honey, black pepper powder and lemon juice on an empty stomach. Have a handful of almonds or walnuts. Include multigrain toast with home-made butter and green tea/ herbal tea /Ginger tea without sugar. Brown Rice 1 cup, Mixed Vegetables 1/2 cup, Salad 1 bowl and buttermilk/ curd. 3 Rotis, Mix-Vegetable curry, salad, buttermilk/ curd. Vegetable Soup 1 bowl/ Dal, 2 Roti or a bowl of khichdi, Salad/ Raita. Follow this diet plan religiously to achieve healthy weight loss.